Description: Creating a logo carousel is a good way to display your sponsors or partners who you’ve worked together with. Creating a logo carousel is a good way to display your sponsors or partners who you’ve worked together with. You can encounter this slider type on a lot of websites, it looks good and can be a good separator too. The carousel slider type is the best way to make your own logo slider, on which you can show more slides next to each other. With a WordPress carousel you can show a lot of information even in a small space. This slider type is available in the Pro version of Smart Slider 3. With an animation, you can cheer up a website and draw the visitors attention as well. If you would like a continuous animation like in the example, you should turn on the slider autoplay and set the autoplay interval to 1000ms or less. The main animation duration is 800ms on this sample – this is an optimal speed, not too fast or slow, and the easing can be linear. If you hover on the slider, the autoplay will stop, and if you leave it, the autoplay will continue. It can be a useful option what you can set in the Autoplay settings. 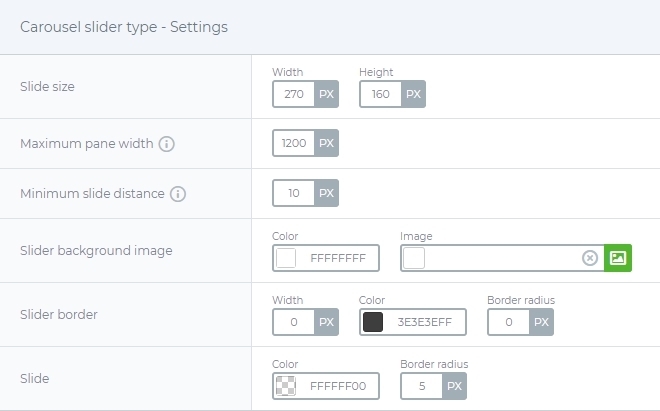 This slider has 3 important data which you should set: the slider size, the size of your slides and the maximum pane width. 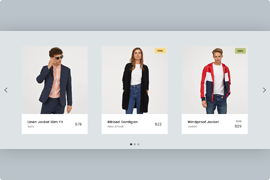 In this example the slider size is 1200×300, the slides are 270×160 big, and the maximum pane width is 1200px. 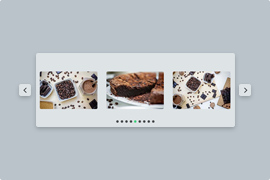 After you’ve chosen the Carousel slider type you can create your first slide. Each slide has the same structure, so you have to create it only once. All you need to make a 1-Row – 1-Col structure and put an image layer with your logo into the Col. The column has a grey background and 5px border radius what you can set at the Layer window. Since each slide is the same, you can duplicate it, and you have to change only the image layers, and your carousel is ready.